It is finally December! The best month of the year, imo. Except for the super cold and snowy weather. Otherwise, I love the lights, the treats, the traditions, and everything else that comes with the holiday season. Now that I’m the adult and I have a lot more responsibility I look forward to December with an equal amount of excitement/anticipation & dread. There is so much to do this time of year!! I don’t know how everyone else does it – I usually end up exhausted by Christmas Day. But to see my kids faces Christmas morning makes it all worth it! There are so many activities/traditions that I need to remember and so many parties and events that get crammed into such a short amount of time that I seriously need to write everything down or I just know that I’m going to forget something. 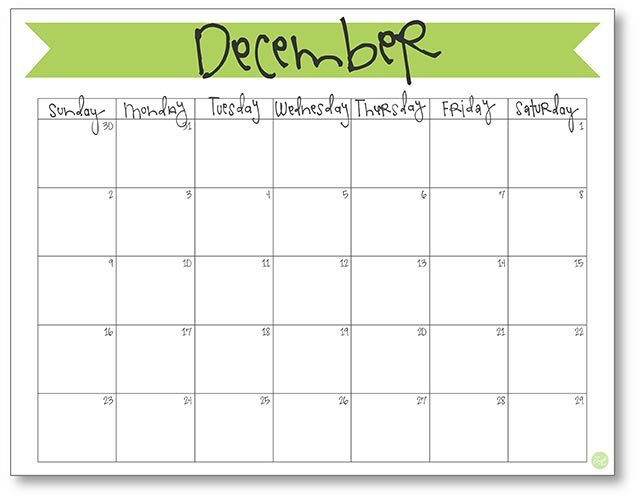 This free printable December calendar definitely keeps everything organized for me so I don’t have to worry about missing a thing! 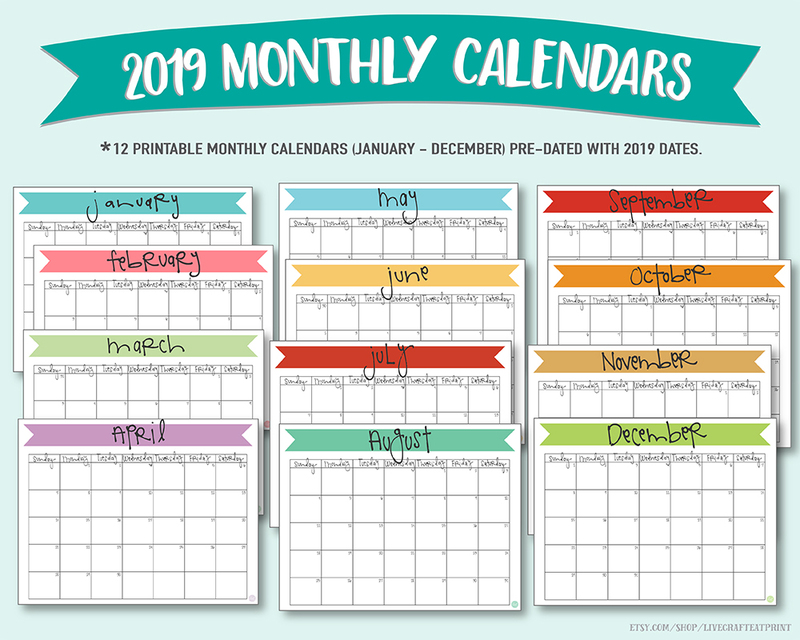 If you need something to help keep your December activities in order, please feel free to print out this December 2018 calendar – all you need to do is download the link below and then print the calendar from your own home printer! It’s as easy as pie! 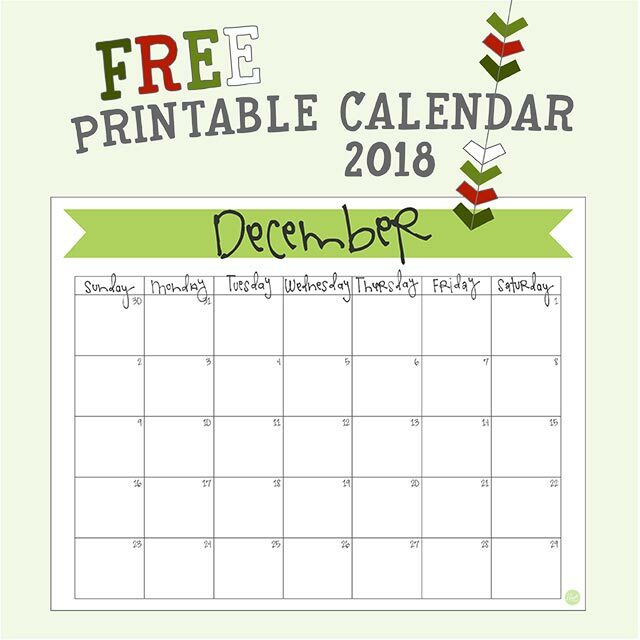 CLICK HERE TO DOWNLOAD YOUR FREE PRINTABLE DECEMBER 2018 CALENDAR! I hope you enjoy your December and find the time to fit in everything you want to do! 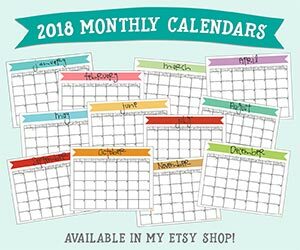 If you like this calendar, check out how you can get all the monthly calendars for 2019 in my Etsy shop!